The state of Minnesota has four major continental divides which are shown on all Minnesota roadmap. 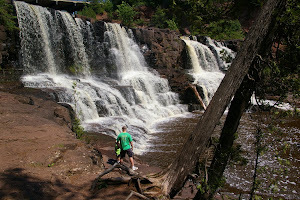 Because of these divides, Minnesota shares it's water with a large part of the North American continent as water flows downhill, based largely on water flowing away from these divides. Students recently were required to map the location of these divides and other surface water features found within the watershed. Some of the surface waters students needed to include on their map include major lakes (Mille Lacs, Upper/Lower Red, Winni, Superior, etc) and major rivers (Mississippi, Minnesota, St. Croix, Red, etc.). 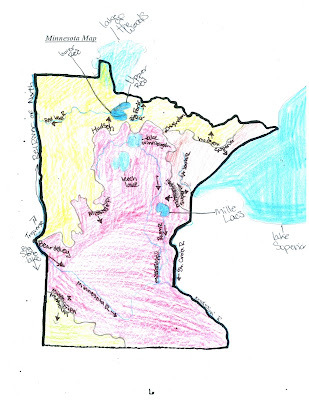 An example of a student completed map is posted for reference.